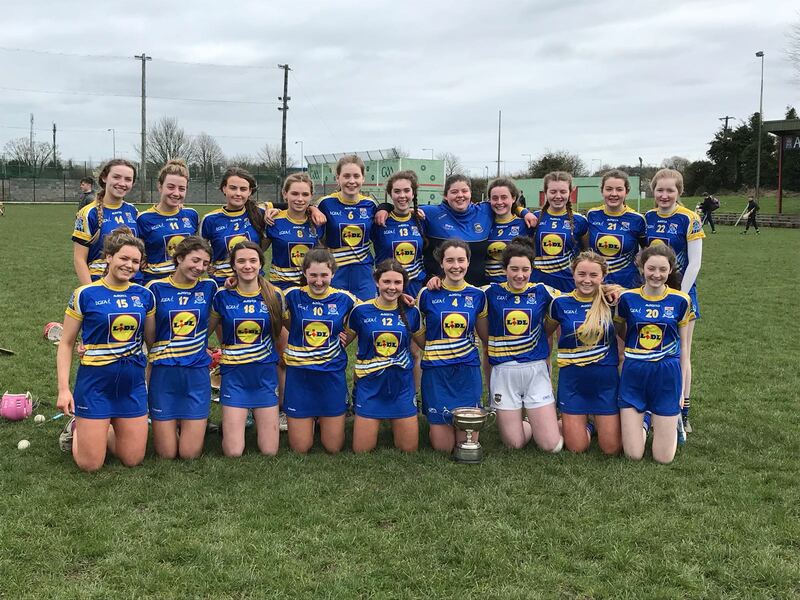 On Wednesday 21st of March, our Senior Camogie girls, captained by Ciara Moloney, took to the field in Leahy Park Cashel, for their last game of the year, the Munster League Final against St Augustine’s of Waterford. Cashel got off to a flying start with Caoimhe Perdue and Aine O’Dwyer showing their experience in mid field and Sorcha Ryan very strong in defence at centre back. The physicality of the game was relentless as the girls from both sides battled hard to get the upper hand. 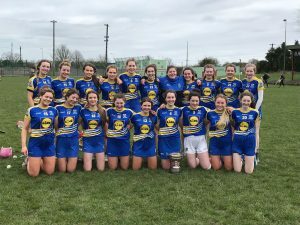 Cashel came out on top by half time, thanks to goals from Leah Baskin and Aoife Linehan who had worked tirelessly in the half forward line, the score line reading 2-6 to 1-5 at half time. The second half was riveting to watch, with both Cashel and St Augustine’s picking off some incredible scores. With the gap reduced to just a goal for a large part of the second half, the Cashel girls had to battle hard to maintain the lead, with Katelyn Fleming holding strong at full back. In the closing minutes, Lauren Horgan, who had already made three fantastic saves in the goal, trapped the sliotar dead on her hurley from a 21 yard free and cleared her lines. This was a massive boost in confidence to Cashel and the ever dependable Caoimhe Perdue burst out of the half back line, soloing the length of the field and put the ball over the bar. This was followed by a fantastic point from Karin Blair and now CCS had a more comfortable cushion as the clock wound down. This was a fantastic way to end the year for many of these girls who have already won Munster honours in Ladies Football with Cashel Community School earlier this year.